Welcome to Watermate Boats official site. 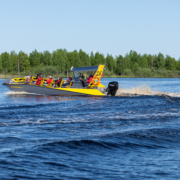 We are an aluminum boat manufacturer based in Estonia. 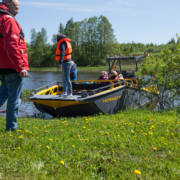 Our boats are purposely built for commercial use. Specifically for the market of tour operators and organizers. Read more about our story here. Our first model was the LR9 SAFARI model which could take on board up to 20 passengers with 2 crew. It is a great work tool for a business of river or lake tours. 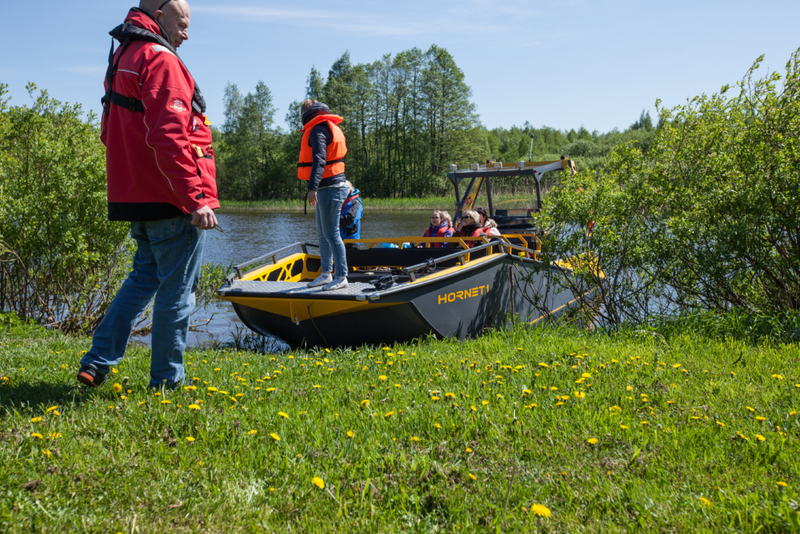 Every aspect of the boat is built to suit well the needs of a tour organizer. It was also designed to be a quite flat-bottomed boat to achive greater speeds with less engine power on rivers. Also it’s flat bottom gives it very good boat to access hard to reach places with… Read more about the boat here.